I love it! 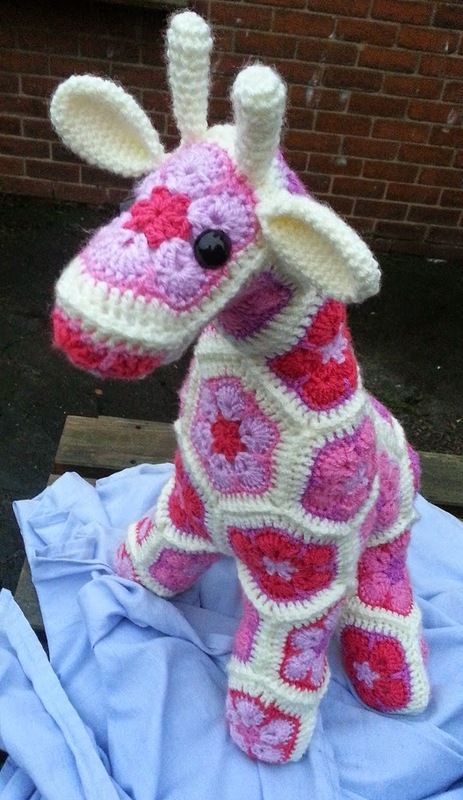 It has been such a fun thing to make with lots of colourful hooky and playing around with felt and sequins. I do wish I had some better light for photographs though, it has been so dark here over the last week. I really think that paying attention to the details at the end of a project is just as important as the main bulk of the work. 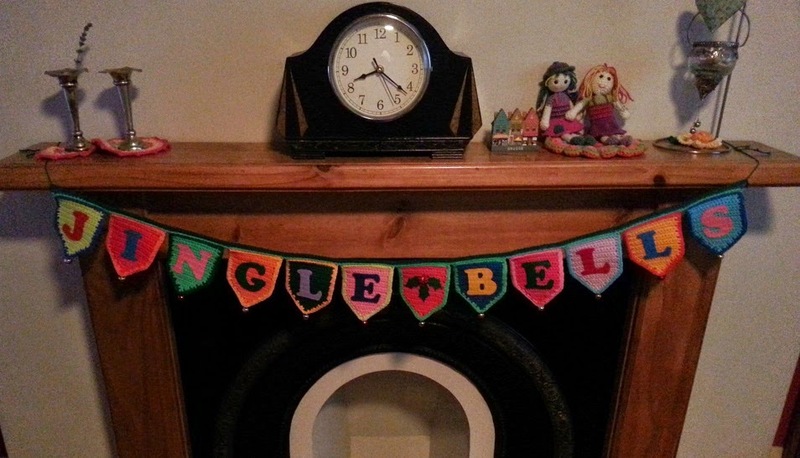 This bunting for example, the flags take approximately 10 minutes each to make, simple rows of double crochet and a row of edging. but then there is the sewing in of the ends and the tidy up. Then a good press, then matching the lettering colours, printing out the letters, tracing them onto bondaweb, ironing those to the felt, cutting them out carefully and ironing them on to the flags. Taking a bit of care and time with that end bit really does make all the difference. 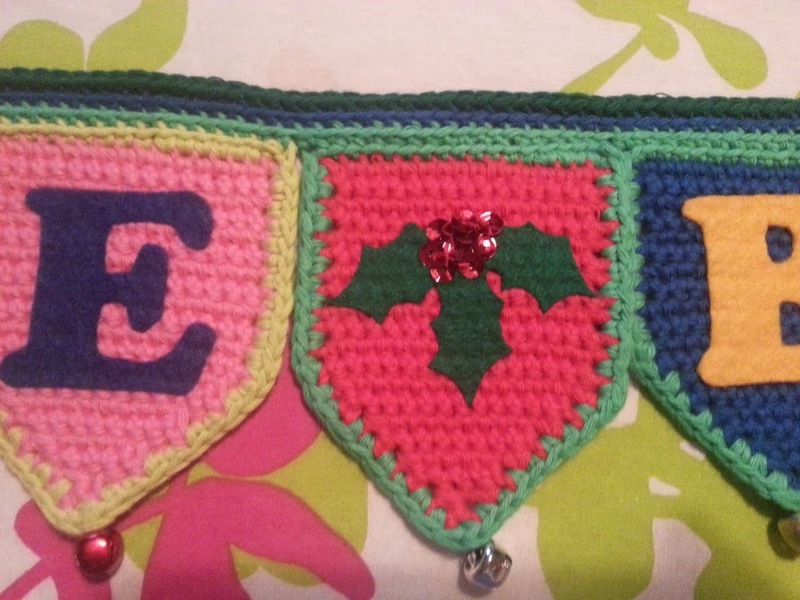 I settled on some felt holly and sequins for the middle flag, I really am trying to get better at sewing and the sequins are so far intact! 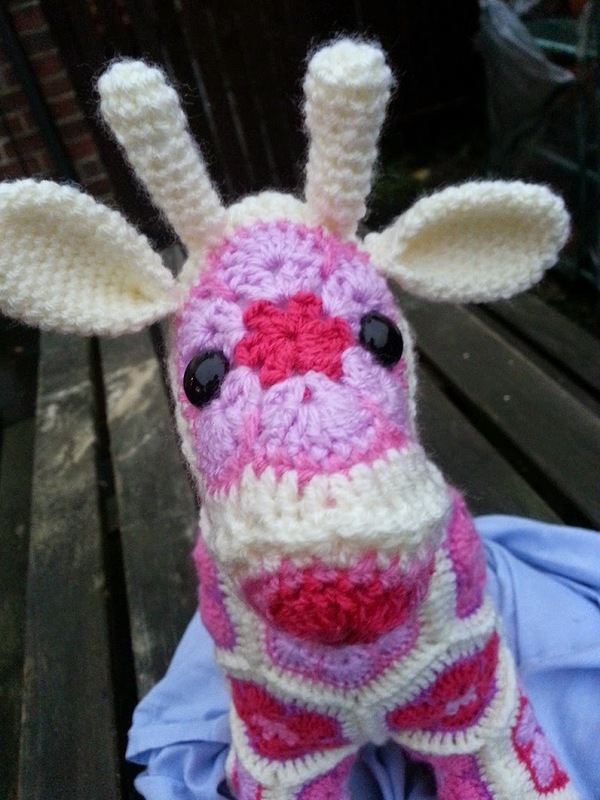 Which brings me on to Ta-dah number 2, I have finished the Giraffe! Aww her little face, I just want to squish her! So what next to make? Not sure yet, I am still feeling festive and have lots of Christmassy ideas floating around so I might pick one of those.